We’ve decided, each month, to highlight one of our products and give you some ideas on how to use them in your everyday baking, cooking or drinks making! 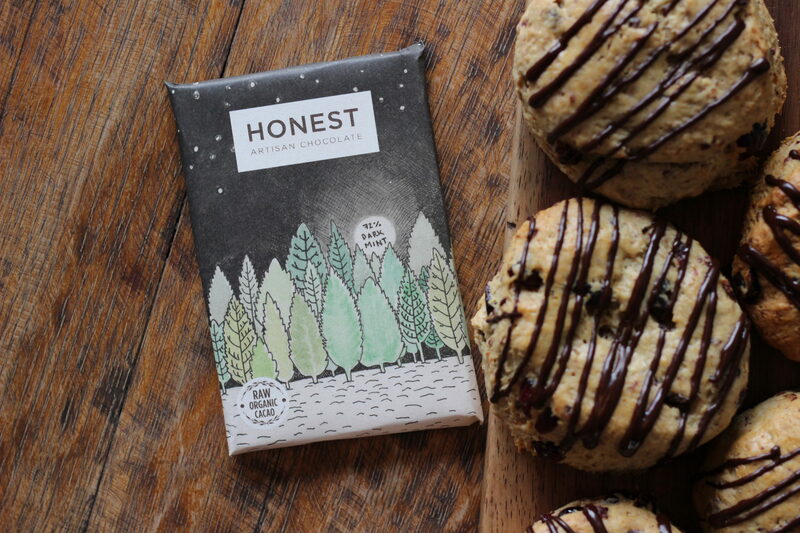 This month it’s our 72% Mint Slab: pure raw organic cacao, agave nectar and mint essence. We did some research into which flavors pair well with mint, and one of the most popular was cranberries. 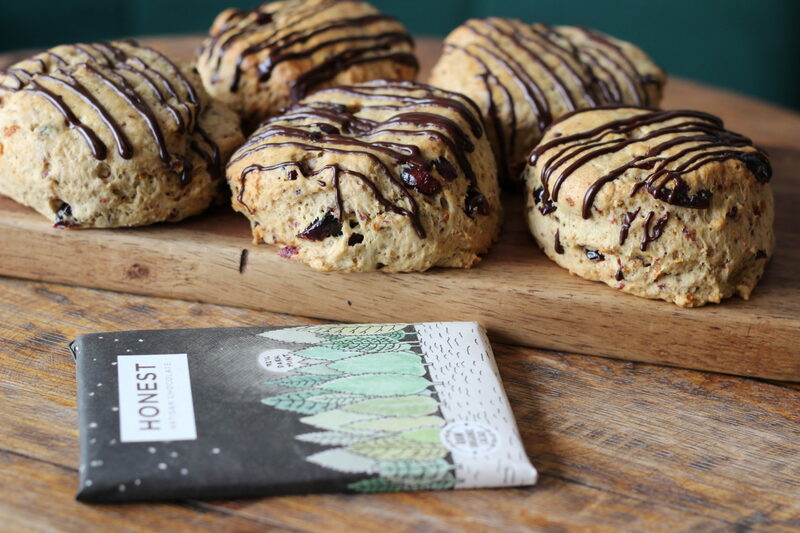 So we decided to make these delightful cranberry scones and finish them off with a mint chocolate drizzle. If you have the inclination, they also go well with a fresh whipped cream and some cranberry jam! Heat the oven to 180 degrees and prepare two baking sheets by lining with parchment or lightly spraying with spray oil. In the bowl of a food processor, whiz the cranberries with the brown sugar and orange zest until lightly chopped. Remove to a separate large bowl. Back in the food processor, whiz the flour, baking powder and salt. Cut the chilled butter into small pieces and pulse with the flour in the processor just until roughly crumbled. Sprinkle the countertop or a board with flour, and dump the dough out on it. Cut out rounds using a biscuit cutter or glass, or pat into a thick circle and cut into wedges. If you aren’t planning on using the rum glaze, sprinkle the scone tops with sugar. If using the drizzle, arrange the scones on a baking sheet or cooling rack and drizzle lightly with the chocolate. Let sit and cool until the surface of the drizzle dries.